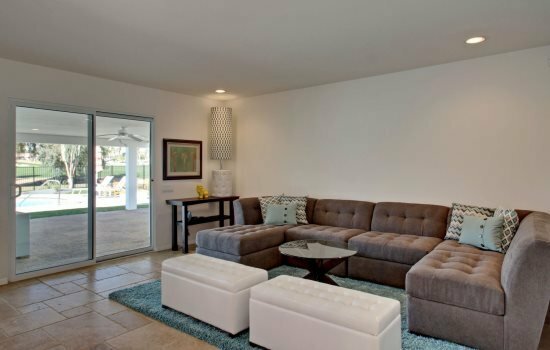 Relaxation begins the moment you step into this bright, sun-filled, Palm Springs vacation rental in Palm Desert, California. 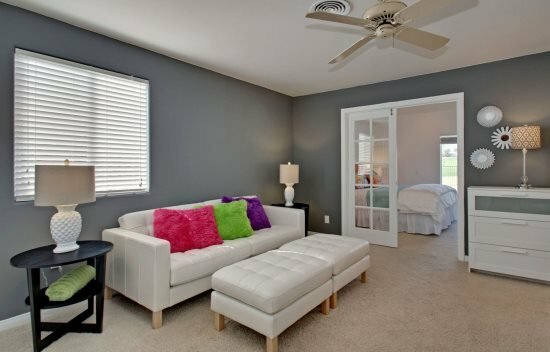 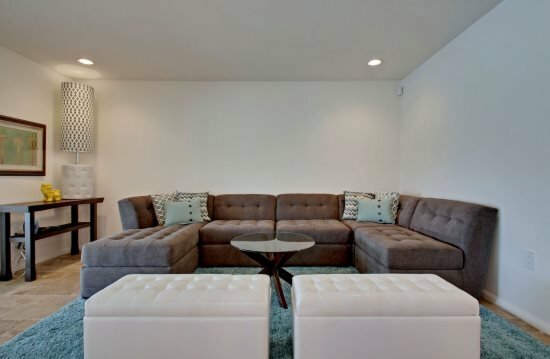 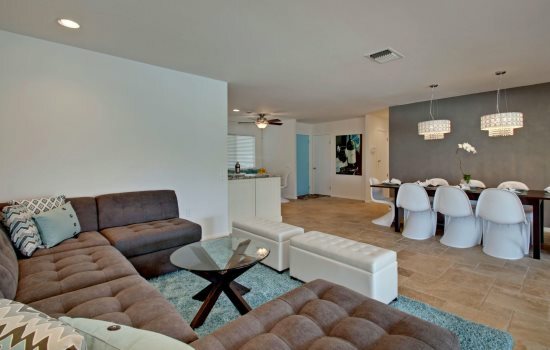 As soon as you walk in the door, you will be embraced by warm furnishings and California Modern decor. 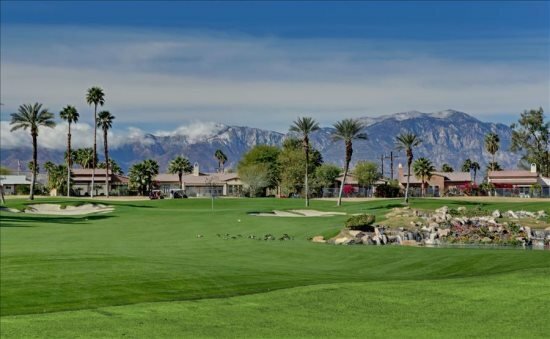 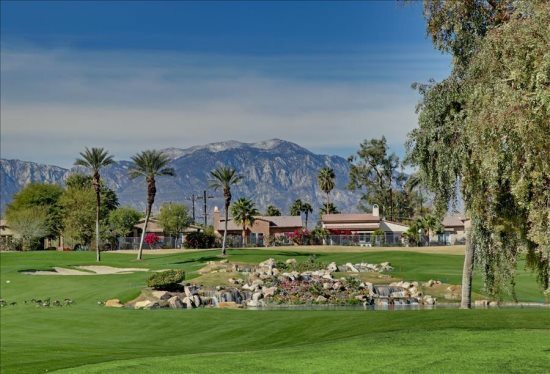 This Palm Desert vacation home sits on a quiet street with the Palm Desert Country Club Golf Course as your incredible backdrop, just minutes from all the shopping and dining at El Paseo. 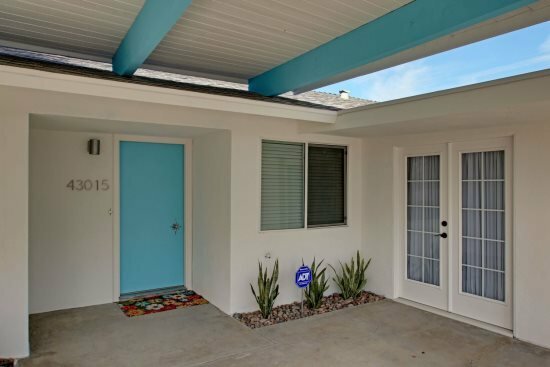 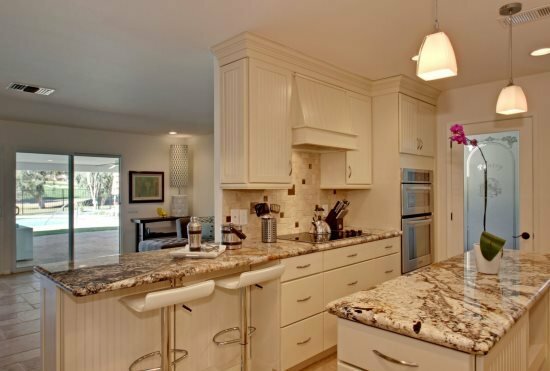 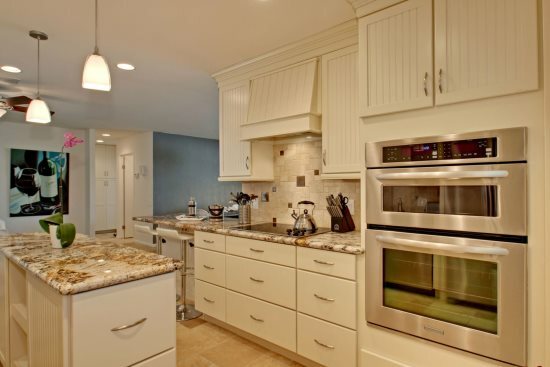 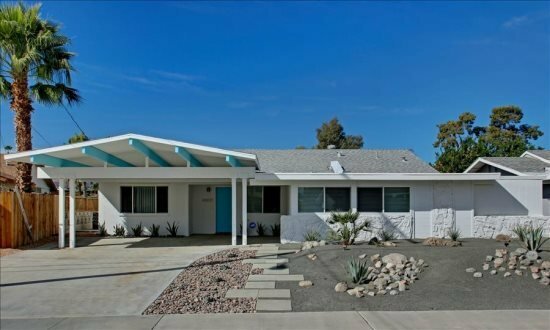 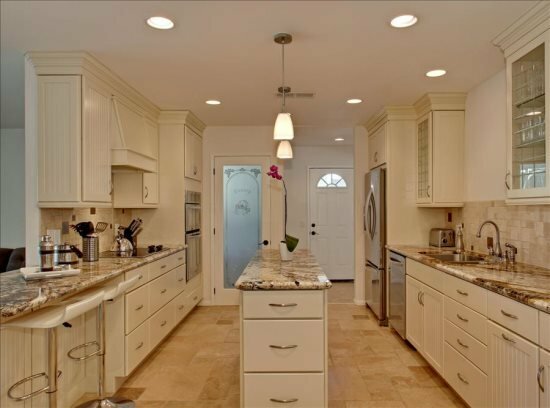 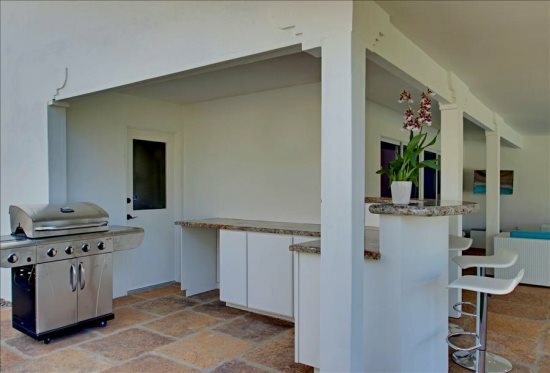 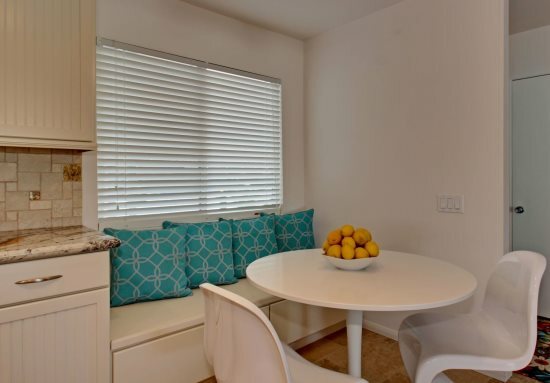 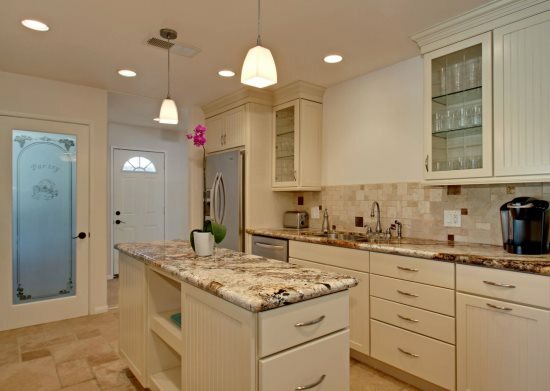 Palm Desert Villa has a spacious kitchen with new appliances and is fully equipped with a electric range, lots of small appliances, utensils and service ware. 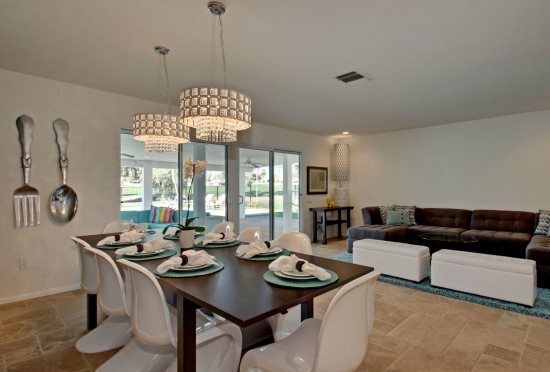 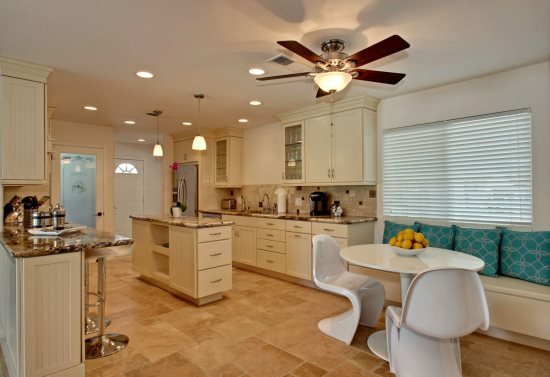 This Palm Desert vacation home has both a kitchen table that seats 5 and a dining room that seats 8. 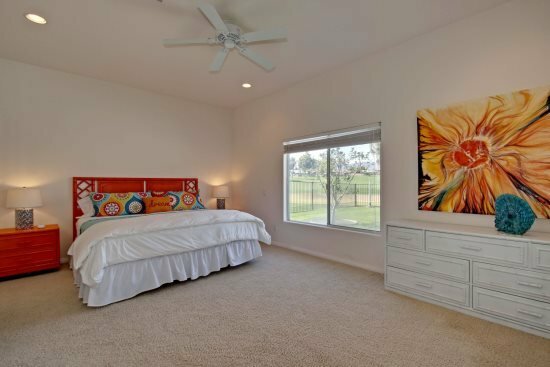 The master bedroom has a comfortable king size bed with new linens. 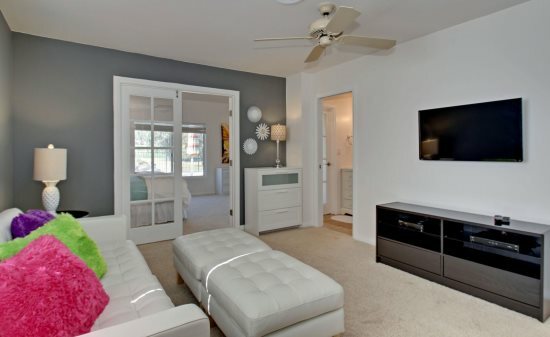 The TV room is right off the master bedroom and has a 50”TV. 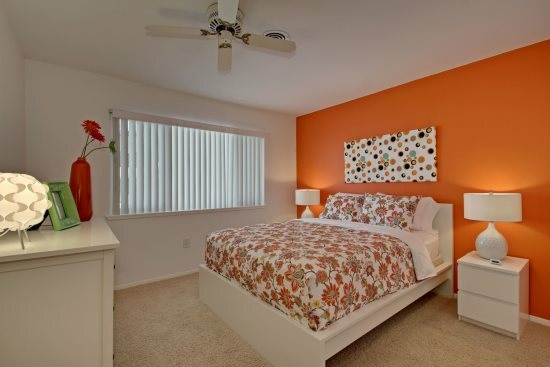 The second guest room has a queen size bed and the third bedroom has 3 super twin beds. 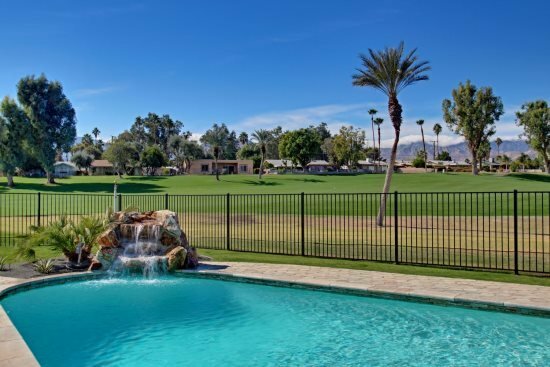 Step outside, through walls of glass that open up to take full advantage of the indoor/outdoor Palm Desert lifestyle, to the sparkling pool. 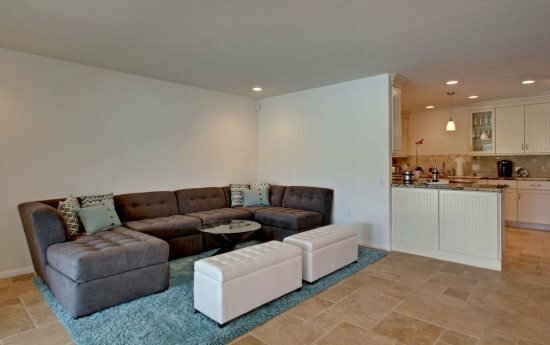 Sit and enjoy TV outside on the 40”TV. 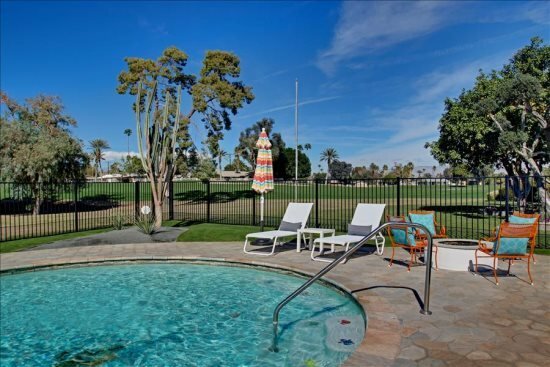 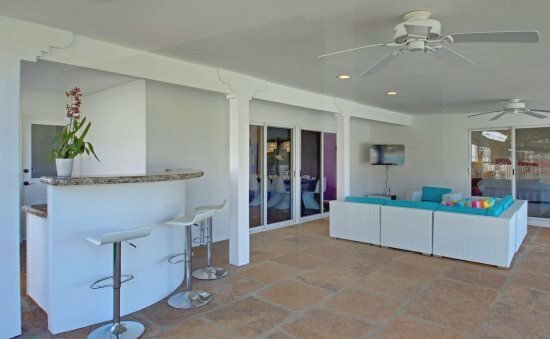 The outdoor covered patio has a gas BBQ that has proven very popular with many Palm Desert vacationers, and overlooks a beautiful swimming pool and the golf course. 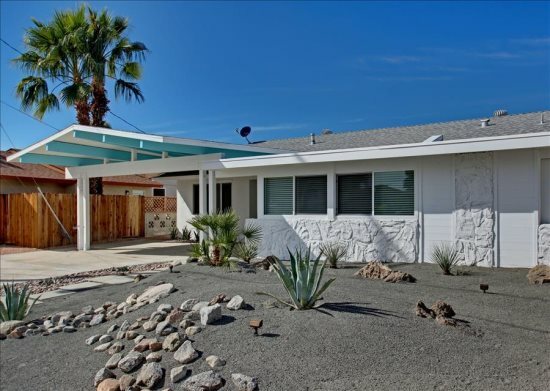 This home is fully fenced in. 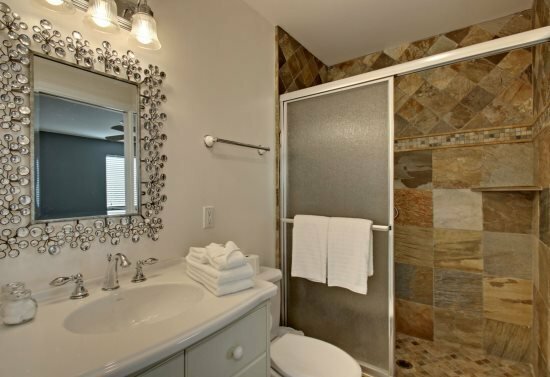 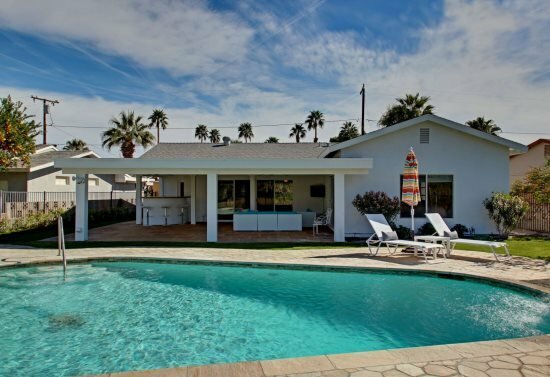 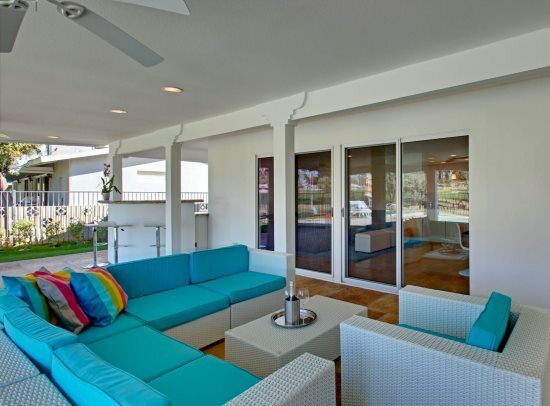 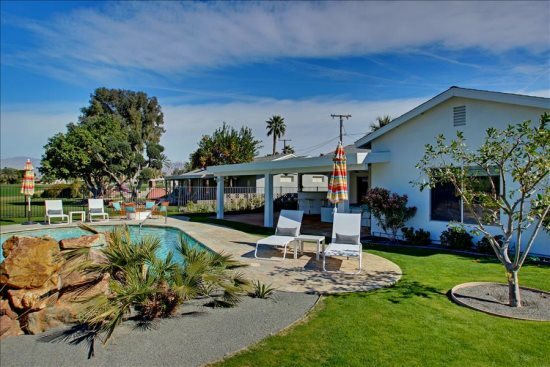 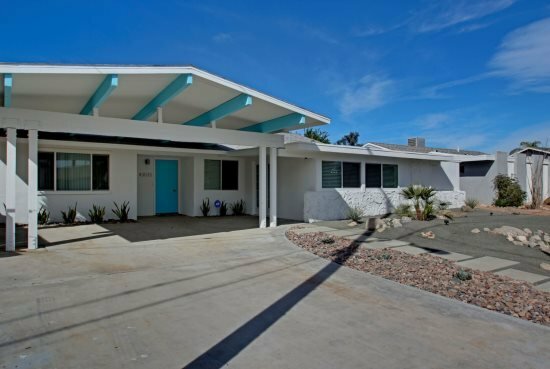 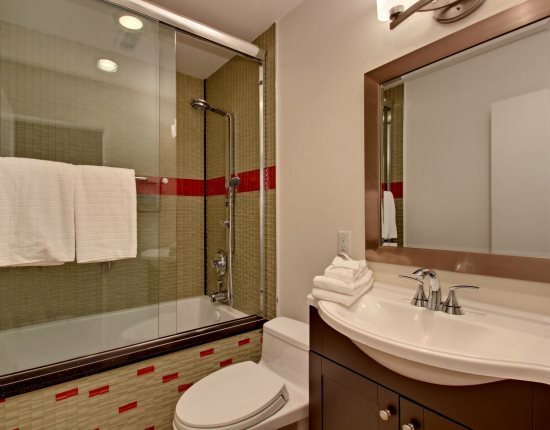 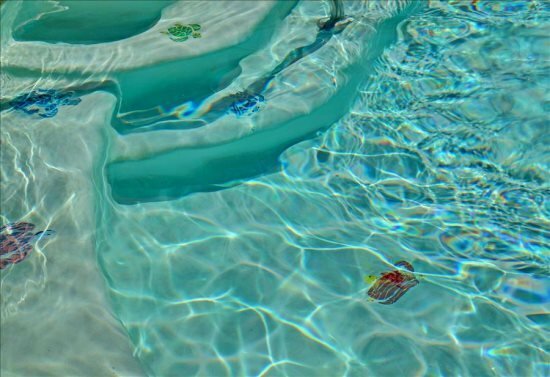 Book Palm Desert Villa for your next Palm Springs Getaways vacation.